Some of you may know my friend, most of you have heard his name.. Kenny Rogers. 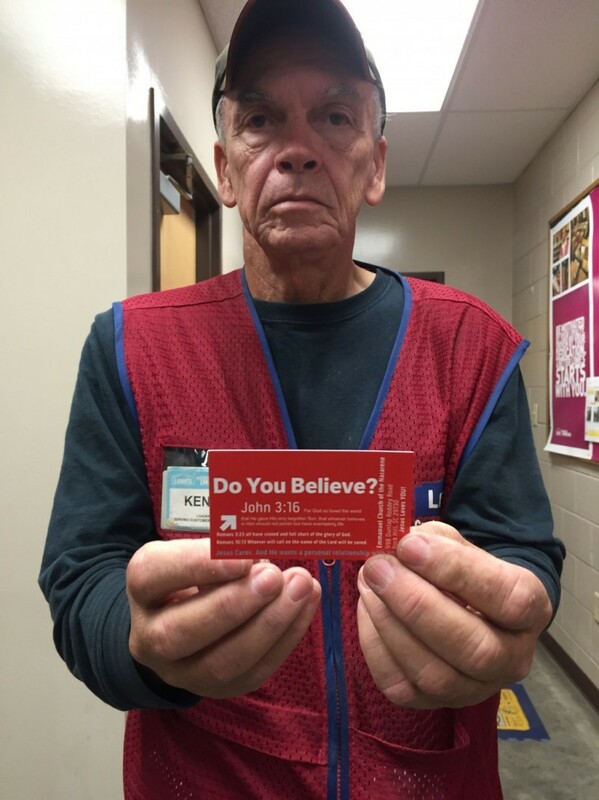 Kenny works at Lowe's and it one of the nicest guys you will ever know. Kenny always has a tall tale and if a fun person to be around. Recently Kenny went to the doctor an received a report that anyone would dread receiving. Kenny got a report that he had Prostate cancer, they had removed and biopsy portions and sometime later Kenny went back in after the treatment for blood work to see the prognosis. As the young lady drew his blood and placed the label on the vile, Kenny stopped her and asked her if he could pray over that vile of blood. Kenny prayed that day over this vile of blood with that young lady in the room. When the results came back and Kenny sat down with the doctor, the doctor had results that would puzzle the sharpest minds in the world. The doctor said that Kenny was Cancer FREE. The Cancer was there, they had tested it, they had already went in and saw it.. and then they don't know what happened from there. But, it was gone. GOD is STILL in the healing Business! Kenny Gives ALL the Glory to God, Kenny was healed by a touch from the master's hand! Do you Believe that God is still in the healing business, because I do! Let us rejoice with Kenny! !